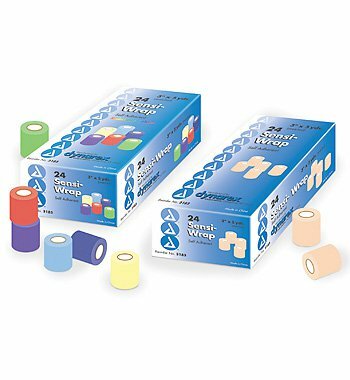 Sensi Wrap, Self-Adherent, 2 inch x 5 yd rolls. TAN only - 36 rolls per case. These co-hesive wraps are also Latex-Free and lightly stick to the skin without sticking to hair. Also offered in multi-colored rolls (36/box).